Plastic spigot for PET carboys, plastic buckets, and other containers. 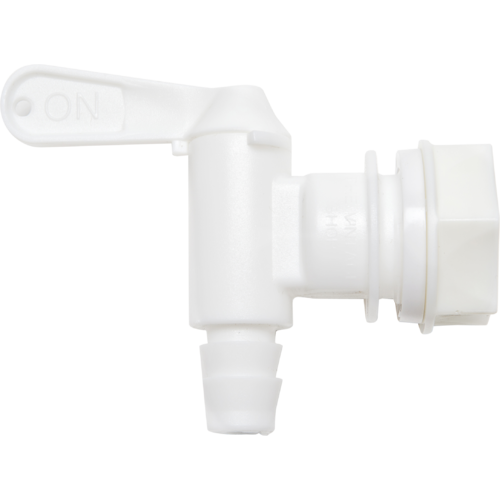 Features a barbed spout which will accept 1/2 inch ID tubing. Use the barb to extend tubing into your receiving container, or attach a spring tip bottle filler for an easy bottling solution. Spigots are awesome and we use 1/2 tubing for everything.